Find bracelets crafts, friendship bracelets craft ideas and jewelry craft projects for teenagers here. Some imagination, a dollop of creativity and loads of patience is just the right combination you need to have for making crafts. Crafts are the best way to give vent to your creativity and make exciting gifts for some special people in your life. Also, the personal touch in these gifts is sure to melt the heart of the receiver. When it comes to gifting females, jewelry craft makes a good option to explore. Right from little girls to teenagers to adults, every female loves to adore herself with a piece of jewelry. Bracelets make great style statement and go a long way in enhancing the attire. Also, they are easy to make and attractive to look at. Friendship bracelets craft ideas make beautiful and interesting jewelry craft projects for teenagers and kids. Children can give these handmade bracelets, as gifts to their mom and sisters, on special occasions. These self-made bracelets would also qualify, as a great favor option for pre-teen and teen parties. While bracelets with gems look classy and elegant, one made from safety pins look extremely funky and trendy. 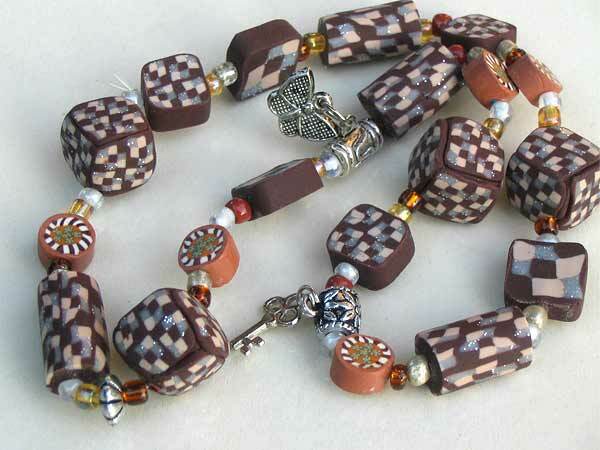 The bracelet crafts, given below, are simple to make and also would be a great way to flaunt your creativity. So, just go ahead and give each a try! !